if you just think for a moment–that we’re alive!, breathing, feeling the wind on our faces–we’re rich beyond our wildest imaginations. to have life, to still be breathing and able to “play” this game of life–we are indeed fortunate, and rich rich rich. a lot of people are freaking out these days. job loss, economics, global warming, the Middle East threat–all of it a bit much for some. each day you hear on the news some other catastrophe, how people are struggling, how even our world, the Earth itself, struggles. these are challenging times, for sure. these are times that, if met with belief that they happen for a bigger purpose than we’ll ever be able to figure out–we will all end up in a better place as a result of having gone through them–together. i’ve lost a lot lately. people, friends, even a dog. other people’s losses affect me deeply. my own are nothing in comparison. grief is something we all must go through. it’s part of being human, being able to love. binky person, my hopi friend, calls me from his butte out in arizona and we laugh together, at how people who are so uncomfortable when they lose what they are used to. the hopis have nothing, never have had anything, and those that don’t want much are okay with that–that’s their life. it’s only those who want more (from watching television mostly) that are unhappy. of course the entire Native American situation is pretty dreadful still. alcoholism is rampant among all the indigenous of our beloved country. i’m certainly not saying it’s good to have nothing. what i’m saying is that if we lose something, anything, there is an opportunity of growing spiritually, of becoming more complete, more content with life, if we allow the pain of loss to ripple through us–and leave us, too, in its due time. when pain gets stuck in the human heart, that’s when addiction takes over. i talk a lot of addiction on lordflea, if you’re interested to find out more. today i’m sending an encouraging message of staying positive even in face of great loss, to those out there who have found lordflea. and to all who benefit from our being positive, even if the negative-thinkers don’t practice being grateful for their loss, they too will in time become awakened to the gift of being alive. no matter what is happening in your life–focus on the positive! all negatives come and go, come and go, but the positive force of being alive is the most basic, most sustainable, most important gift of all. Breathe. Enjoy the Light of Being. Focus on being in the moment–and all will be well, with your participating in making it better one day at a time–or not. my hopi indian friend, binky person called yesterday. i’ve spoken of him on lordflea before, about how ironic it is for me, a person who writes and arts, lives in the congested East Coast of America, yet holds true the sacred of all beings in my heart as the most important things to cherish–that binky and i happened to meet. it was all because of my other indian pal, an acoma from outside albuquerque, named petuuche. petuuche is a very worldly, well-travelled man who is the official historian of his people. i met Petuuche (his name from a sacred rock formation) whom i met years ago while covering an interesting story about how the Acoma were finally able to buy back their tribal lands, taken away by the greedy white men who thought the “savages” ought to be separated from the rest of the new country of America. Finally, after years of poverty, alcoholism, and desperate no-hope isolated living, many indigenous peoples of America, the Acoma included, are now able to accumulate the wealth needed to live like human beings among the others who have taken over their lands. How? the gambling industry, that’s how! Hooray for the white peoples’ almost universal tendency to become addicted, because with so many gambling addicts afoot, the indigenous are finally able to buy back, bit by bit, piece by piece, the sacred lands of their ancestors that were taken from them, by legal treaties, back in the 18th Century, and divied out to ranchers. Now petuuche’s tribe, the Acoma of Sky City, who dedicate their intention-based lives to praying for all humanity, have managed to re-appropriate what was theirs to begin with. Kudos to the gambling industry! I think all gambling should belong to the Native Americans. Let the entire city of Las Vegas be owned by them, and the world will finally have a smidgin of karmic justice. So Petuuche is the one who introduced me to Binky Person, who is the opposite of a worldly, sophisticated, well-travelled person. He himself has replaced alcoholism with a deep spiritual practice, as he is a guardian of the old ways that many of his people have forgotten, as they drift through life in the haze of wanting-consumerism and practicing alcoholism, his fellow hopies so isolated and so out of hope, being one of the unfortunate indigineous tribes who have no gambling casinos. the hopi have no gambling casinos and hardly anything else, but the energy to get up each morning and walk to their corn patch, as Binky does, and watch his plants grow, splash a little water on them to help them along. And splash a little water on his own face to remind him why he’s here. The hopi have few means to lift themselves up, and many are sunk into an alcoholic miasmi of forlorn isolation, as many Native Americans are prone to alcoholism–a genetic blip perhaps, or the result of their situation? Binky tries to organize the people to do runs, to honor their old ways; but mostly he’s met with resistance, ridicule, and scorn. Why? Because his fellow hopis want what the rest of America has–things! possessions! opportunities! education! possibilities! Petuuche knew of my affinities with the Natives, having native blood mixed in with mine, as a lot of us half-breeds do, being typical “american mutts” as i think even Obama has called himself. Petuuche told me to call Binky, because I wanted to offer my support in the endeavor Binky was trying to get going out in his neck of the woods–out in the villages and scattered groups of hopi who live close to the Black Mesa in Arizona, near where the oldest still-inhabited town of America is–Old Araibi. When I first spoke to Binky and told him that I support his work, and wanted to send him a small check to show my support in a small way, he actually cried. This grown man wept at the heart-to-heart understanding I was offering him, on the telephone, with him not owning anything but the cell phone we spoke on, and a humble house in which he lived with an adult son who suffers Down Syndrome, no doubt the result of his mother’s rampant alcoholism, who abandoned Binky when the son was age 3 in order to drink alone, away from responsibility, without restraint. and so binky and i have become recently become friends. we speak on the phone. i share and empathize with his battle, similar to the one i feel i’m in as a dedicated spiritual warrior who arts. i suggest he do some sun salutes for his aching back. to let go of his tormetors, his criticizers. to detach from negativities. i sent him a little book showing how to do a simple Iyengar sun salute. he says his back is much better, thanks. he tells me things i feel i need to here also, to be reminded of. like how we all need to splash a little water on our face, just to remember our connection to water, to the good Earth that brings forth the water. and plant some seeds. and grow some corn, some beans. keep it simple, sweetheart! you’ll hear me speak of binky every now and then. we all need to know someone like a binky. he keeps us grounded during these times that are so economically difficult for many. because for people like binky, nearly all the indigenous peoples who have had their lands, their honor, their very humanness taken away by the greedy conquerors from far away–they have learned to focus on the connection to what they call the Mystery–Great Spirit–or, God if you will–that force that is the center of our being here. the only thing that matters, in the end. Even if everyone else forgets, which is how binky feels, we must always remember we are One. sadly, binky sees so many of his fellow Hopis lost in alcoholism, lost in the dream, unreachable at the moment, of wanting to be just like the people they see on television, the ones with stuff stuff stuff. and binky needs to hear me when i tell him to not give up on his less zealous (about HIS projects) fellow hopis. perhaps their time will come when they will reawaken to the ancient ways, the rituals, the intentionality, as binky so desires for his people. myriad possibilities lie ahead for ALL humankind, as we help each other spiritualize, instead of being focused on the material side of life. let’s remember to help each other more, instead of find fault. we need to remember that all of us are warriors, and the fight we are in is about helping humankind remember that Spirit is the only issue of lasting, real importantance in our life. leave the politics and the economics and all the other way-too-complicated stuff to the leaders that we spent so much energy on getting elected. if YOU want to be happy during this hard transition time, please come close to the inner Self, the Spirit of Creation that flows through you, and each and every one of us. aplash a little water on your face, whenever you feel down and out. remember ownership leads to difficulties. whenever people put too much importance on ownership, there is always a disconnect with their relationship with Great Spirit. if you do own a lot, share it with others. if you aspire to own more than you do, make sure you dedicate the reason you’re acquiring is to help others–keep the ownership thing for the purpose of the entire human family to grow closer to being spiritually fulfilled. and…for those of you who live in st. augustine, fl, as i do–please remember to correct people when they say our town is “the oldest city in america”–because that just ain’t true. truly, it is the oldest WHITE GUY’S city…but the oldest city in america is the Hopi Pueblos out west, in Old Araibi, where people have been living continuously for thousands of years. let’s give credit to where it belongs. even though today Old Araibi has no indoor plumbing, and each family has their own outhouse (I’ve been there, I know!) and there are no restaurants, no gas stations, no computers even–this is a thriving city where people have great love in their hearts for each other, their land, their country, and the meaning of existence–to honor Great Spirit that flows through all things. the election is fast approaching and with it, passions are flaring, tempers heating, and this is great! NOW is the time for people to express themselves, actively promote their choice, say what they want to say, and defend the position of whatever candidate they’ve chosen to support. for someone like me, who basically doesn’t trust ANY politician, but feels by the very nature of politics one who has entered that realm of public life has to be a magician, of sorts, to persuade the masses to believe their views–i can only pray that the choices we all make will serve the highest good for all. and that when the dust settles, in the late evening of November 7, whoever is the winner will be the most enlightened choice of the people’s collective will. yes, NOW is the time to voice our passions about which candidate is ours — but after the election, i hope the country of America will enjoy a period of healing, and rally around the new chief. in other words, i hope whoever wins, does so by a landslide. otherwise, i’m afraid, there’s going to be more back-biting and bitterness from the opposing political parties. and quite frankly, i’m sick of it! i don’t trust any politician. but i will vote. who i vote for is my own business. how i believe in a universal force of such magnitude that politics is a mere ant’s footprint in its shadow, is my business here. that’s why you’ll not be hearing any more political talk from me, lord flea. so voice your choice loud and clear, my friend! be active! get connected, get out there and talk, argue, and make your point — but after Nov. 8th, please be kind and support whomever is chosen to lead this country. we have some tough times ahead of us. we need to be united in order to grow as a nation, as a people, as individuals. be well, be loving, be kind to one another. i spoke to my hopi native american friend, binky person, today. he and i laughed and cried and shared our frustrations, and were amazed at how similar we are. he, who has tried to teach his fellow indians to uphold the sacredness of the “old ways” feels ineffectual, even despised by his people. binky feels no one wants to remember the sacredness of life here on earth. i told him he has affected me deeply, and that counts. i’ll write more of my new friendship with hopi binky in future posts. i’m sure you’ve had the experience: what you think is what you become. athletes use focusing techniques to win; students ace tests by merely thinking they can; jobs, parking spaces and even lovers manifest when we visualize them. stories of “what you think you are” are an integral part of our human-ness. it’s true, whatever we focus on, that’s what we are. if i choose to focus on the turmoil of the world around me, i’m pissed off, disturbed, and pretty darn scared. but if i choose to focus on the inner state of connectedness, the spiritual Oneness that is the only Truth i’ve ever known to be absolutely, beyond a doubt prove-able (based on my own experiences) … then this life is veritably heaven on earth. i watched “The Cry of the Snow Lion” last night. for those of you who don’t know this incredible documentary, it lays out the truth of Tibet’s oppression by the inhuman communist chinese. i can actually say that until last night i was ignorant of the truth of Tibet’s great oppression. what horror! what atrocities! what barbaric treatment of these spiritual people. but…and here’s the universal lesson that we all need to remember…the Dalai Lama, the leader of Tibet (in exile) in spiritual, political and cultural matters, incredibly holds no malice towards the evil treatment the red chinese government and its soldiers have inflicted on the Tibetans. in my own life i can apply this teaching to practically every single person, situation, and event that bothers me. i’m not perfect, but i’m getting better at detaching from the negatives. with my own family i have the opportunity to practice compassion on a daily basis, instead of waging war, i choose to not exercise bitter control over how everyone (should, ought) to act. let go let God, yes, that’s IT. i attempt to shower the warm, healing glows of love toward any one–even an insensitive, over-wrought daughter–who hurts me. the people who hurt us the most are our greatest teachers. once we learn to forgive–and detach from their lack of compassion. ahhh, detachment now there’s another day’s sharing. compassion, a great topic for some other time. the very core of living In Spirit, to be compassionate (com=with; passion=feeling). my little life is so comfortable. so easy. the Tibetans, those still in Tibet especially, have so much misery, so much oppression to overcome. i pray that the world will come together and send support to the People of Tibet. please see the film: www.cryofthesnowlion.com and do what you can, even by sending your thought-energy, your financial donations, your social and political activism, or simply your awareness to help these people. things are so much worse than i had ever imagined. the red chinese government is nightmarishly cruel, inhumane and not ever to be trusted. they have sinned against humanity by their illicit takeover of the sacred Himalayan altar of Tibet. today i spoke with Binky Person a Native American Hopi out in arizona, who is fighting his own private struggle, to keep the teachings of his ancient culture alive, to keep his people aware of their birthright. my friend Petuuche, of the Acoma nation (in New Mexico), told me, no–he begged me to help Binky, when i emailed to ask Petuuche how i could help the Hopi. on the phone Binky silently wept when i told him we were sending him a small donation. he cried. i cried too. man, it’s moving when you touch another human heart. and i never ever met Binky before that phone call today. he has no computer. he’s a simple corn farmer (all by hand, he told me) but he spends any time he can trying to help his own people–the Hopi pueblo nation–not to be put down by the encroaching americanization, the tv-consciousness, the materialism of modern life. he’s exhausted! Binky lives to protect the spiritual life of humanity. it’s important, i feel, to support people like Binky. yes, we can support the Tibetans, but here in america, the natives of our land need our help as well, if not more. make checks out to: Native Movement (non-profit tax #501c3) and designate “for Hopi Nation’s special efforts.” Late in September Binky has organized a “Run for Water” event, in which races and other cultural experiences will be shared by all who participate. see www.nativemovement.org for more info on Binky’s work, and other ways you can help other indigenous people. we are One. if we hurt one part of the web, all the web of humankind suffers. 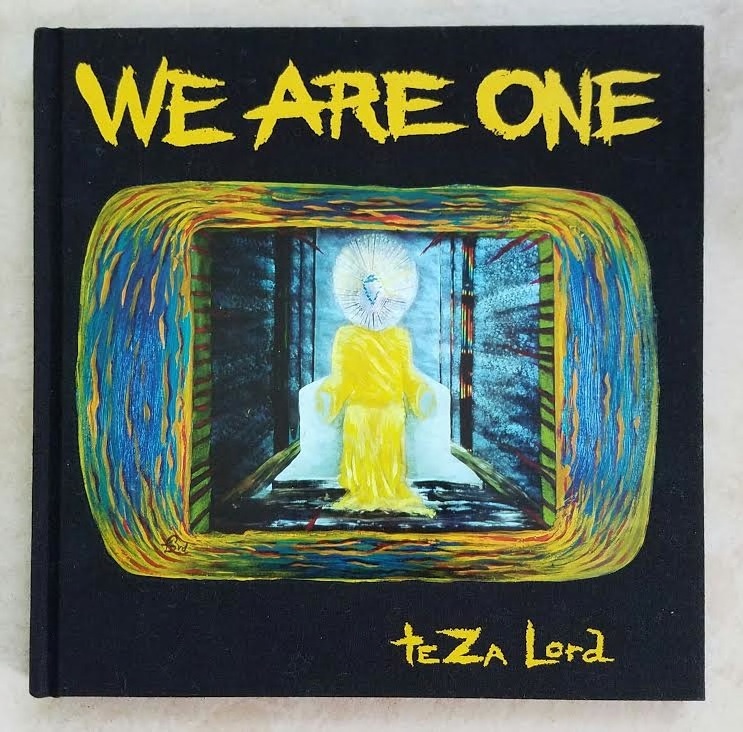 the Mystery is: we are One. think that. become that. Be One In Spirit. i had to tell Binky, with a chortle, that here in my Florida seaside town of St. Augustine, the tourist industry promulgates the ridiculous saying, “St. Augustine–the oldest city in America”… on everything from t-shirts to big-ugly-toxic billboards. but i am always compelled to tell, irreverently, laughingly, to whomever will listen, in a very light-hearted but hey!-let’s-get-real! kind of way, “you’re absolutely wrong! st. augustine is the oldest white guys’ city in america…what about the thousands-of-years-old cities (of the Hopi, Acoma, and Laguna pueblos, and all the forgotten Annasazi). yeahhhh: Truth is Truth. for the record, Old Oraibi, on the Black Mesa in Arizona, dated at over 4,000 yrs. old, the true “oldest city in America”–and it’s still inhabited! it’s very rough. there are no stores except where “outsiders” can come and see the Hopi’s masterful artwork. i don’t think there’s plumbing even, if they do it’s very primitive. each family has their own outhouse, on the edge of the mesa’s cliff. unlike other, richer tribal nations of indigenous people, the Hopi have no casinos. they need financial support from all of us white guys, and yellow, black, pink and even those megalomaniacal red ones from china.